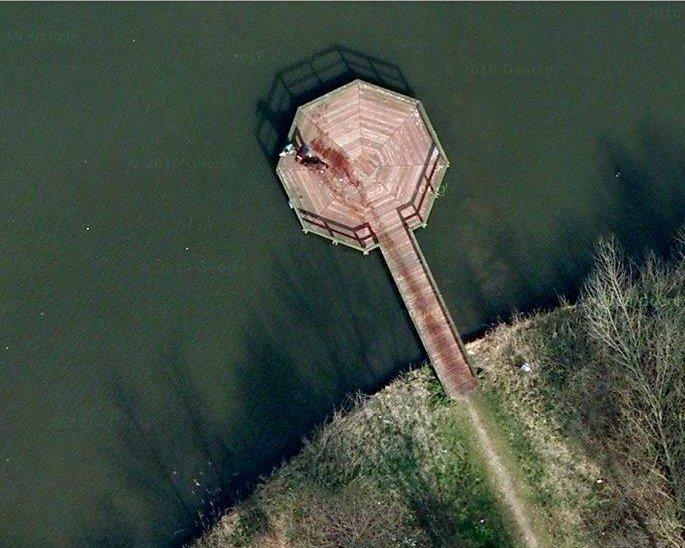 A week ago, Redditor “ncav” posted a Google Earth photo that took the Web by storm. 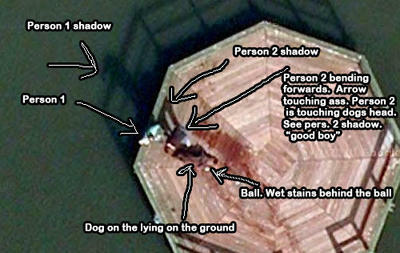 The image (above), posted on April 12, depicts what looks like a couple of people dragging a body along a blood-soaked pier. 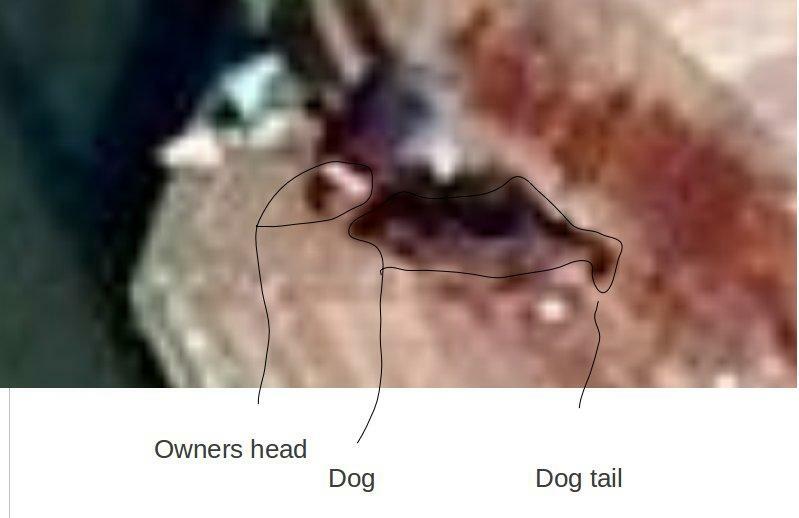 The caption read, “A murder near my house on Google Maps, link in comments.” The link referred to placed the image in Almere, Netherlands, and ncav said he had notified the police. It all makes for an interesting story. Who doesn’t love mystery and intrigue, particularly if the criminal act went awry, thanks to technology? Certainly Gizmodo did when it picked up the item. Well, sorry to burst that bubble, but this one has thoroughly been debunked by none other than the site that spurred it on to begin with: Reddit. Zoom in as far as it will let you by clicking on the “+” sign at the top of the magnification slider at the top left of the map. When you’re in as far as you can go (heh/sorry) but not all the way to street view (if the location you’re looking at even has street view), look over at the white space just to the top left of the map….where the little printer and chain link buttons are. Click on the chain “link” button. That will show you a box with a long URL to the map you are looking at and another box with some HTML code to embed. Ignore the HTML code. Copy the long URL and paste it into your browser’s address bar, but don’t hit enter to go to that URL yet. Instead, click to edit it and scroll all the way to the right. It should end with something like “&z=22”. Change the 22 to 23 (“&z=23”) and hit enter. If Google Maps has imagery at that higher zoom level, it will show it to you. Fascinating tip, so we gave it a shot and — Bazinga! — it works. Interesting stuff. Then there’s this to further cement things: There are other people merrily walking by or bicycling, which is evident if you zoom out of the shot. If a murder had been taking place, they would’ve been key witnesses, no? And so, it seems, the case of the Netherlands dock murder has been solved. Or, rather, disproved. And now the Reddit community is taking on a whole other level of crime-busting. On a more serious note, Redditors and members of 4Chan have been training their eagle eyes and amateur forensics chops on the Boston Marathon bombing investigation. Click here for a more detailed look at some of what the Reddit and 4Chan communities have been focusing on in this investigation.